Oasis Palms Hotel is located not far from Denarau Island and Nadi. 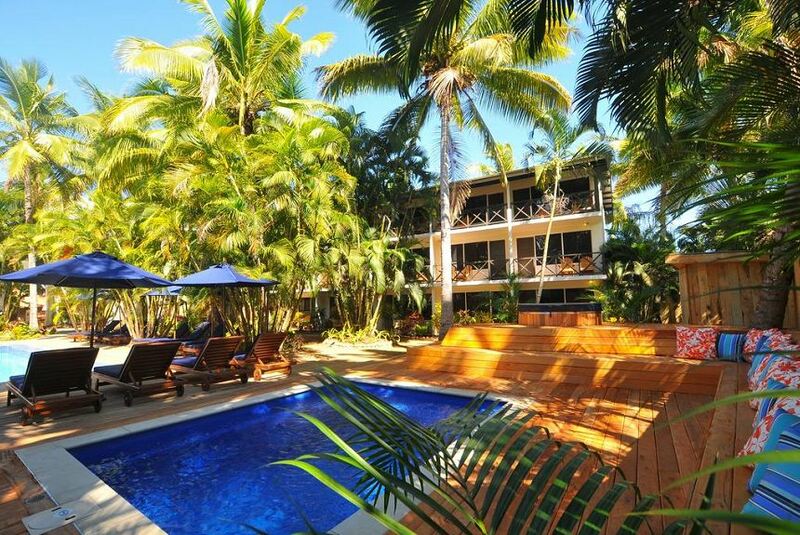 This affordable boutique hotel with 29 guest rooms is the perfect choice for an overnight stay in Nadi pre or post your island vacation, and is also a great option for a mainland Fiji vacation. Breakfast is included in the room rates and we offer complimentary Airport Transfers. The hotel has a pool, a hot tub, plenty of sun loungers, and Wailoaloa beach is a short walk away, there are lots of great activities inland or on the water, great amenities. Oasis Palms is also the perfect size for a private wedding, family reunion, birthday bash or corporate retreat.